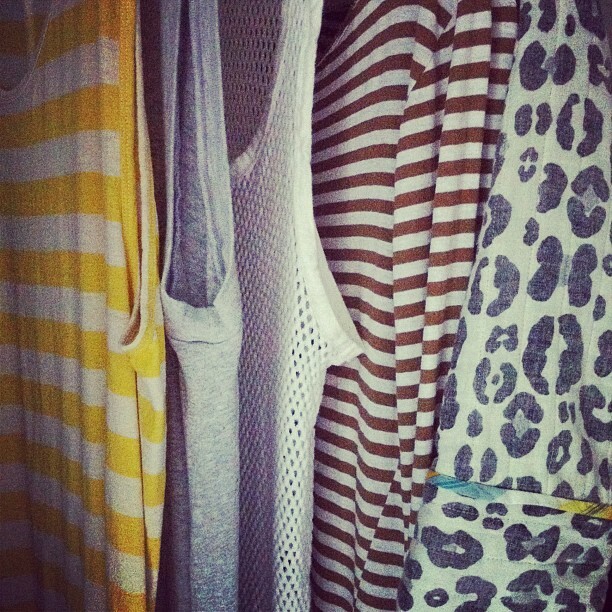 5 Fashion-y things I want you to know about NOW! 1. 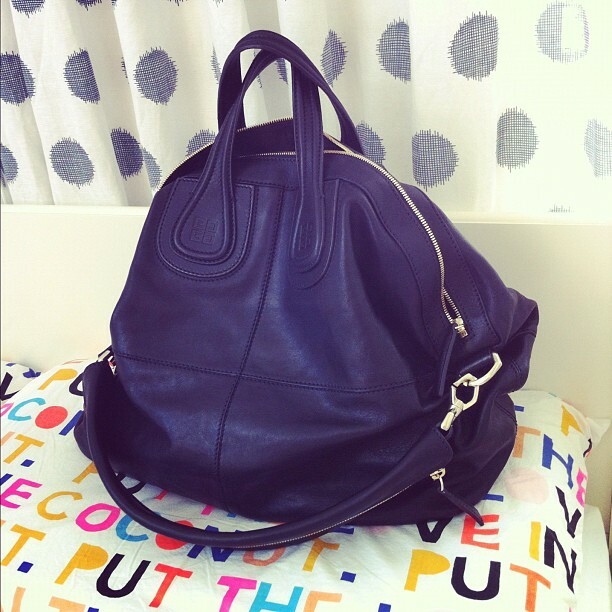 I recently realized I needed a new black handbag. My only criteria were big, smooshy (they have to be smooshy), leather and black. And...plain-ish. Not too flashy or blingy. Enter the Givenchy Maxi Nightingale (hey, if it's good enough for Rumi...). Perfection on every level. Ticks all the boxes - and more. And remember what I always say to justify exxy purchases: "When you buy quality, you only cry once". PS I bought it from Forward by Elyse Walker. 2. A few of my favourite things, chillin' in the laundry... (L-R: Bassike dress, Bassike dress, Isabel Marant singlet, Bassike dress, Gorman jacket). 3. 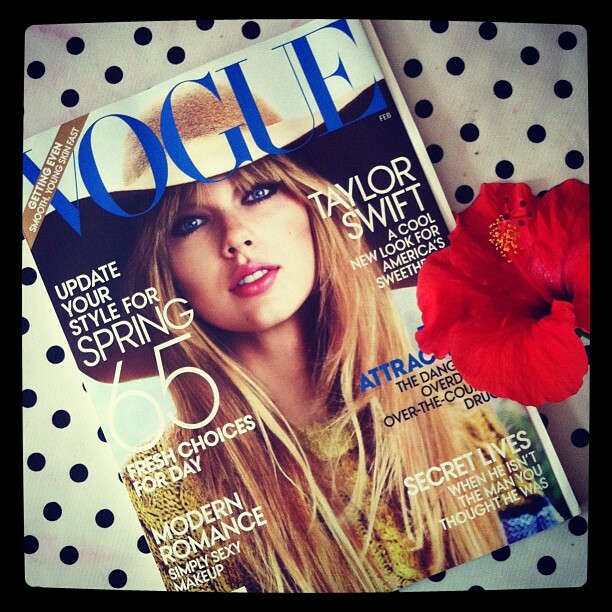 Popette Taylor Swift covers US Vogue February 2012. 4. 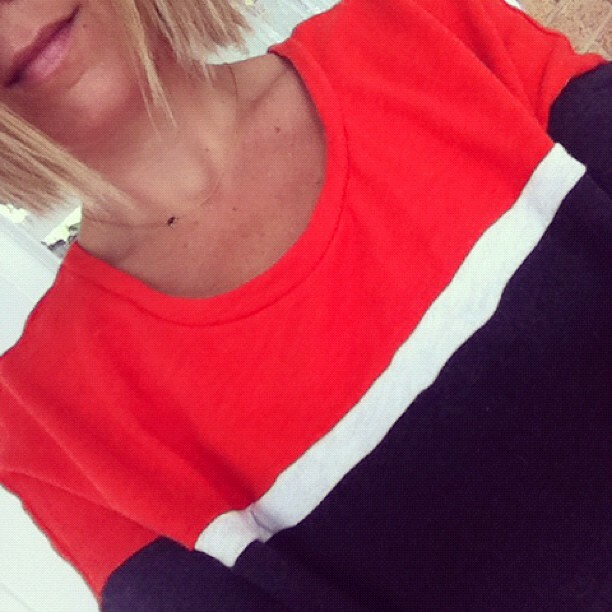 Country Road "Colour Block Knit", $59.95 (in store now). Loving it sick. Bonus points: reminds me of this a bit. Click to buy. 5. If you haven't seen (Paris Vogue Editor) Emmanuelle Alt doing a cover of Wham's "Wake me up before you go go", click play. Guaranteed to make your day. PS The video (also starring model Anja Rubik, amongst others) was made to coincide with the relaunch of the Paris Vogue website. Don't forget, you can find Table Tonic (me) on Facebook, Twitter and Instagram (username tabletonic)! Come say hi! Hiya! My name is Elsa and I just wanted to say your website is awesome! had an identical website url: http://www.blogger. com/comment.g?blogID=1178957263222092897&postID=575204277117830770 mine was only a few letters different. Nonetheless, I'm a big fan of your web site and if you at any time would like a guest post make sure you email me at: deanabaylor@yahoo.de. I absolutely adore writing!